To start, We are psychedelic rock fans who have diverse taste. We aim to put out quality records at fair prices. All limited editions. The name is an homage to the late Dock Ellis who pitched for the Pittsburgh Pirates in the 1970s and pitched a no hitter while tripping on acid on June 12, 1970. 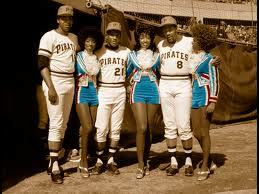 Where else can we combine our love of psychedelic music and 70's baseball? The distribution side's aim is to get great records we love into the hands of buyers outside of Europe(though we will happily ship there too). All of what we sell is handpicked and not widely available over here(US). Some are local releases deserving wider recognition.